The Barhamu people live in Nepal, a nation that is hidden in the Himalayan Mountains. 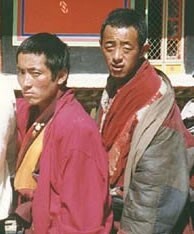 Tibetan Buddhism has come to them from the north, and Hinduism came to them from the south. This shows that no place is too remote for new ideas to take root. Nepal didn't open up to the outside world until 1950, and medical missionaries came at that time. They were not allowed to share the gospel, but their lives were a testimony of how the Holy Spirit could transform people. Today, there is a growing church in Nepal affecting many unreached people groups. Unfortunately, the church has not yet affected the Barhamu people. All of the Barhamu people live in the mountains of central Nepal. 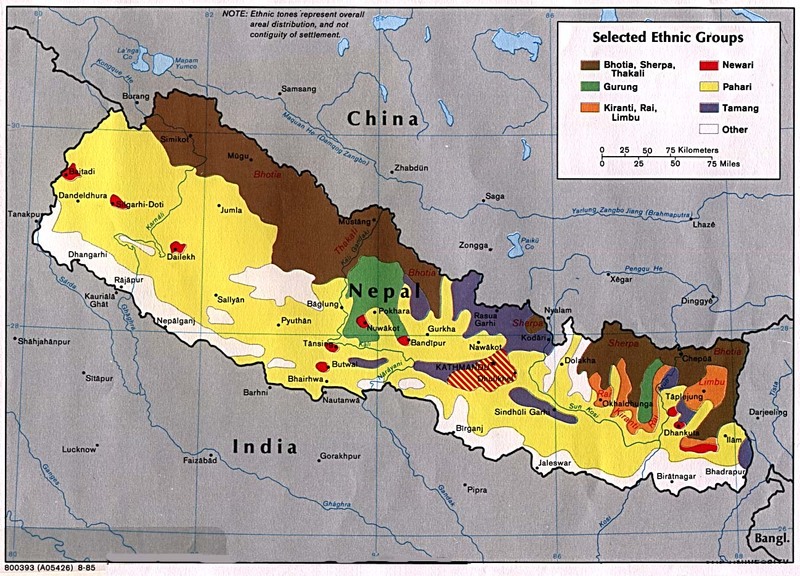 They are found mostly in the Gorkha and Tanahun districts. The Barhamu people have wedding processions where people join them as they noisily go from the groom's house to the home of the bride for the ceremony. They bring bread and fish, but also a rooster to slaughter for the wedding feast. Even though they are forced to call themselves Hindus, they are essentially animists who worship the sun, the moon and the land. The Barhamu people do not yet have a Bible translated into their language. Their homes need running drinkable water. 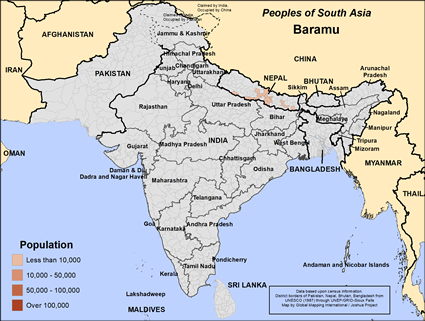 * Pray that God would raise up His people who will take the gospel of Christ to the Barhamu people of Nepal. * Pray that soon there will be a Christ-ward movement among them that will transform their communities. * Pray that this people group, so precious to the Lord, will turn from worshipping created things to worshipping the only creator, and His son, Jesus Christ. http://www.bbc.com/news/world-south-asia-12511455View Baramu in all countries. Location in Country: Takhu village in North Gorkha District of Gandaki Zone.